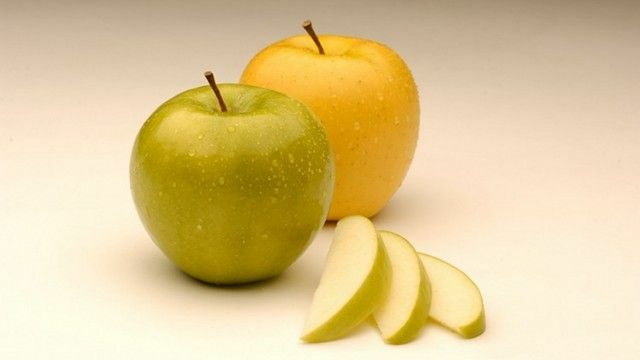 The U.S. Department of Agriculture says it is OK for two varieties of genetically engineered non-browning apples to be sold in the United States. The apples will be marketed as Arctic Granny and Arctic Golden by Okanagan Specialty Fruits, based in Summerland, British Columbia. These apples are modified versions of Granny Smith and Golden Delicious, respectively. The company inserted some extra genes into these fruits, and, as a result, they no longer produce the enzyme that’s responsible for apple flesh turning brown when it’s exposed to air. According to Neal Carter, the president of Okanagan Specialty Fruits, the main market for these apples will be food service companies that serve sliced apples. In its decision to deregulate the fruit, the U.S. Department of Agriculture said a plant risk assessment showed the genetically engineered apples were “unlikely to pose a plant pest risk to agriculture and other plants in the U.S.” The public can expect to see these apples in large numbers probably in 2017. When news of this cultivation first emerged in 2012, a poll commissioned by the B.C. Fruit Growers’ Association and a group of Quebec growers showed significant concern among the public, with 69 per cent of respondents opposing approval of the Arctic apple.